When it comes to cost-effective, premium quality interior painting in Washington Crossing, Pennsylvania, Henderson Custom Painting is the interior painting contractor Washington Crossing residents and businesses trust. 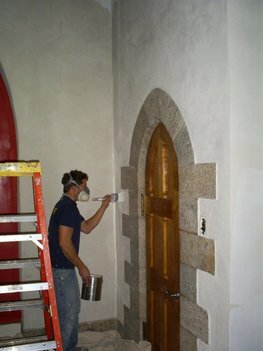 Henderson Custom Painting's Washington Crossing painters specialize in all Washington Crossing interior painting jobs, including interior walls, ceilings, doors and trim. We also paint and seal garage and basement floors. Whether you are looking to freshen up your interior rooms with new paint or have a more elaborate interior painting project to complete in Washington Crossing, PA, rest assured that Henderson Custom Painting's Washington Crossing interior painting technicians are up to the task! Whether your Washington Crossing interior painting project is large or small, you can trust Henderson Custom Painting's Washington Crossing interior painters to complete your Washington Crossing PA interior painting project on time and on budget.